Othon Arciniega, a 21-year-old Latino, was fatally shot Friday, March 8, in the 600 block of North Lagoon Avenue in Wilmington, according to Los Angeles County Medical Examiner-Coroner’s records. About 12:15 p.m., Arciniega was walking south on North Lagoon Avenue when more than one person approached him and began shooting, said Los Angeles Police Det. Dawna Killingsworth. The assailants fled in a vehicle described by witnesses as a white sedan, Killingsworth said. Arciniega was pronounced dead at the scene at 12:28 p.m., according to coroner’s records. It’s unknown where Arciniega was walking. Anyone with information is asked to call detectives at (310) 726-7879 or (310) 726-7882. Those who wish to remain anonymous can call Crime Stoppers at (800) 222-8477. Ricardo Torres, a 44-year-old Latino, was shot and killed Thursday, Oct. 11, in the 100 block of East D Street in Wilmington, according to Los Angeles County coroner’s records. About 11:05 p.m., Torres was sitting in a gray Jeep Wrangler when a person shot him, according to a news release from the Los Angeles Police Department. Torres was pronounced dead at the scene at 11:23 p.m., according to coroner’s records. It’s unknown whether the shooter was in another vehicle or on foot, police said. Anyone with additional information is asked to call detectives at (310) 786-7228 or (310) 726-7886. Those who wish to remain anonymous can call Crime Stoppers at (800) 222-8477. Jesus Aleman, a 22-year-old white male, died Friday, April 27, after being shot in Wilmington, according to Los Angeles County coroner's records. 1500 block of McDonald Ave.
Richard Oscar O’Dell, a 37-year-old Latino, was shot and killed Saturday, April 7, in the 1500 block of McDonald Avenue in Wilmington, according to Los Angeles County coroner’s records. Police said O’Dell was standing alone in the area shortly after 1 a.m. when a person shot him. It’s unknown whether the shooter walked up to O’Dell or shot him from a vehicle. O’Dell was pronounced dead at the scene at 1:30 a.m., according to coroner’s records. Police are trying to determine why he was shot. Anyone with information is asked to call (310) 726-7886. Those who wish to remain anonymous can call Crime Stoppers at (800) 222-8477. Roberto Fuentes, a 31-year-old Latino, was shot and killed Saturday, March 24, in the 600 block of Island Avenue in Wilmington, according to Los Angeles County coroner’s records. About 1:30 a.m., Fuentes was sitting in a parking lot in a Nissan Altima with another person when someone walked up and shot into the car, said Los Angeles Police Det. Dawna Killingsworth. Fuentes was taken to a hospital, where he was pronounced dead at 1:51 a.m., according to coroner’s records. The other person in the car was not injured. Police say it's unclear why Fuentes, who lived in the area, was shot. Anyone with information is asked to call Killingsworth at (310) 726-7879. Those who wish to remain anonymous can call Crime Stoppers at (800) 222-8477. William Salcido, a 52-year-old Latino, died Friday, Jan. 26, after being shot in the 200 block of West F Street in Wilmington, according to police and Los Angeles County coroner’s records. On Dec. 20, Salcido was standing on a sidewalk by himself when he was shot at 2:45 p.m., Los Angeles Police Det. Julie Scruggs said in an email. Salcido died from his injuries a month later, at 3:04 p.m. Jan. 26, according to coroner’s records. Police arrested Bobby Renfroe, a 57-year-old black man, on suspicion of attempted murder the day of the shooting. Renfroe has been charged with one count each of murder, attempted murder, assault with a semi-automatic firearm and possession of a firearm by a felon, according to the Los Angeles County district attorney’s office. Alex Giovani Zepeda, a 19-year-old Latino, was shot and killed Saturday, Oct. 28, in the 1100 block of West Cruces Street in Wilmington, according to Los Angeles County coroner’s records. Zepeda was at a party about 1:45 a.m. and had gone outside to hang out with other partygoers, when a person walked up and shot him, Los Angeles Police Det. David Cortez said. Zepeda was pronounced dead at the scene at 2:05 a.m., according to coroner’s records. A 14-year-old juvenile was arrested Nov. 2 on suspicion of murder, Cortez said. The case will be presented to the Los Angeles County district attorney’s office, which will determine whether to file charges. Anyone with information is asked to call Cortez at (310) 726-7889, or Officer Jeff Tiffin at (310) 726-7884. Those who wish to remain anonymous can call Crime Stoppers at (800) 222-8477. Christian Antonio Polanco Uribe, a 15-year-old Latino male, died Saturday, Sept. 16, after being shot in Wilmington, according to Los Angeles County coroner's records. Daniel Guillermo Zuniga, an 18-year-old Latino, was shot and killed Friday, Sept. 15, in the 300 block of Gulf Avenue in Wilmington, according to Los Angeles County coroner’s records. Zuniga left his house about 11:35 a.m. and was walking north on Gulf Avenue to meet a friend and grab some food, Los Angeles Police Det. David Cortez said. Police think two people — both wearing dark clothing — jumped out of a vehicle and chased Zuniga, shooting him multiple times, Cortez said. Zuniga was pronounced dead at the scene at 11:45 a.m., according to coroner’s records. The shooters got back into a vehicle, possibly a dark SUV, and drove away, Cortez said. Anyone with information is asked to call Harbor Division detectives at (310) 726-7889. Those who wish to remain anonymous can call Crime Stoppers at (800) 222-8477. Monica Nicole Ruiz, a 31-year-old Latina, was shot and killed Thursday, Aug. 31, in the 300 block of West D Street in Wilmington, according to Los Angeles County coroner’s records. A vehicle described as a gray or silver sedan drove by a two-story apartment complex about 8:50 p.m., and a person inside the vehicle opened fire at a group of people standing out front, Los Angeles Police Officer Jeffrey Tiffin said. A female relative of Ruiz’s was shot in the shoulder, Tiffin said. The vehicle, which was traveling south on Island Avenue, then turned around, and within minutes, a person shot at the group again, Tiffin said. Ruiz, who was helping her relative, was struck by gunfire. Both of the women were taken to a hospital. Ruiz was pronounced dead at 9:35 p.m. The other woman is expected to survive her injuries. 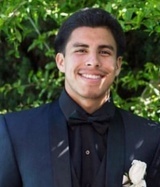 Steven Alvarez, a 19-year-old Latino, was shot and killed Tuesday, July 18, in the 1600 block of McDonald Avenue in Wilmington, according to Los Angeles County coroner’s records. About 8:40 p.m., Alvarez was sitting in a dark-colored BMW sedan when one or more people walked up and shot him, Los Angeles Police Det. Scott Coffee said. Police said the gunman fled on foot. Alvarez was pronounced dead at the scene at 8:50 p.m., according to coroner’s records. Alvarez was in the area to visit his girlfriend, Coffee said. The shooting is believed to be connected to gang activity in the area. Police are looking for witnesses. Efren Chairez Diaz, a 29-year-old Latino, was shot and killed Tuesday, July 18, in the 1400 block of North Marine Avenue in Wilmington, according to Los Angeles County coroner’s records. Shortly after 10 p.m., Diaz was standing with a group of people when a person walked up and shot him, Los Angeles Police Officer George Romulo said. The gunman ran north on North Marine Avenue, then east into an alley toward North Avalon Boulevard, Romulo said. The gunman is described only as a man of unknown descent with a slim build and about 5 foot 6. Police think he was wearing a dark hooded sweatshirt and still are trying to determine why someone would have targeted Diaz.